Fox is a perpetual student of the world, a writer and adventurer, with degrees in international education and writing for young people. A passionate and dedicated advocate of diversity in life and bookcases, Fox believes in the power of books and young people to change the world. 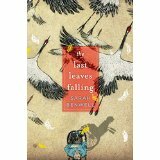 The Last Leaves Falling (published under Sarah Benwell) made the USBBY Outstanding International Books List and was nominated for the Carnegie Medal. Kaleidoscope Song will be published in 2017 by Simon and Schuster. 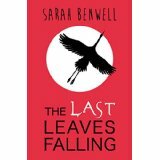 Find Fox on Twitter @SWritesBooks at www.sarahbenwell.com. Japanese teenager Sora is diagnosed with ALS (Lou Gehrig’s disease). Lonely and isolated, Sora turns to the ancient wisdom of the samurai for guidance and comfort. But he also finds hope in the present; through the internet he finds friends that see him, not just his illness. This is a story of friendship and acceptance, and testing strength in an uncertain future.